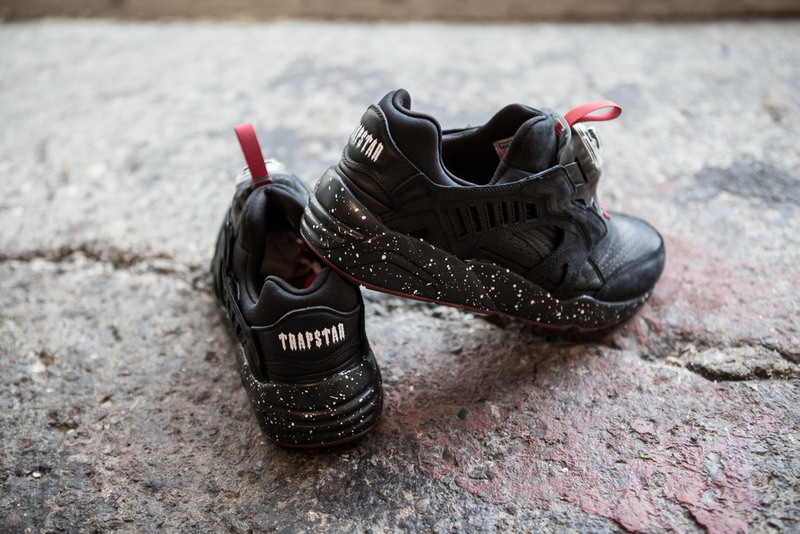 Global Sports Brand PUMA launches a teaser of what's to come - an exciting collaboration with London-based streetwear brand, Trapstar. Conceived in the UK's capital city, Trapstar began when the co-founders Mikey, Lee and Will Trapstar began making custom t-shirts for friends. It wasn't long before his bold, graphic t-shirts were worn by celebrities, including PUMA's Global Creative Director and Ambassador Rihanna. 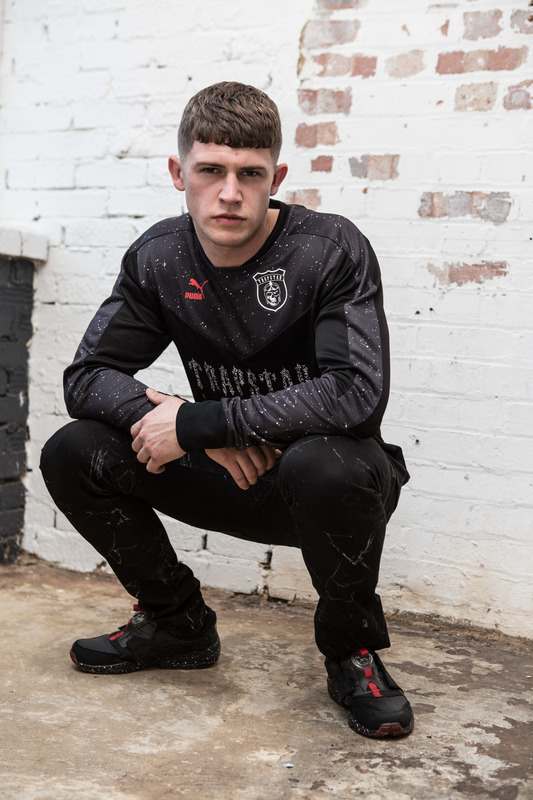 The PUMA x Trapstar teaser drop features one of PUMA's most iconic silhouettes, the DISC, together with a long-sleeve Goalkeeper Shirt. 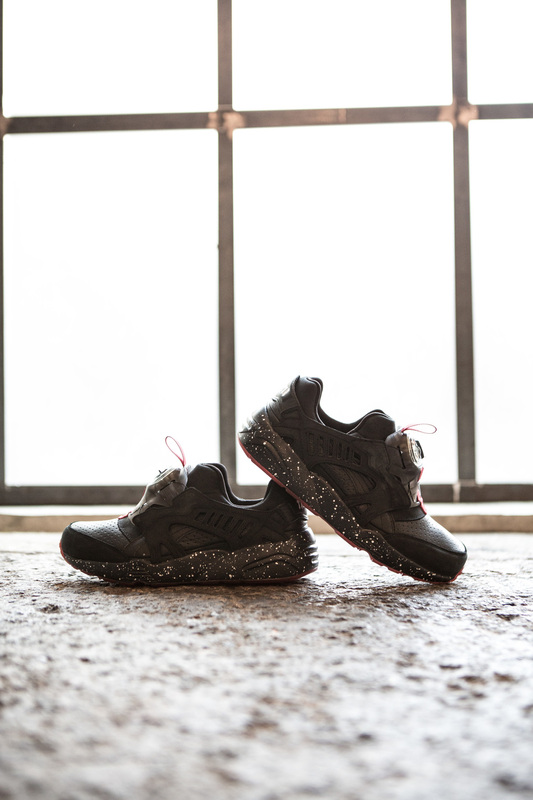 The PUMA DISC x Trapstar features an all-over leather upper on a cleaner, simplified DISC shoe. Finished in black, even the DISC cage has been given a soft nubuck leather treatment. Exemplifying Trapstar's design ethos the shoe includes a red colour pop on its DISC strap and a graphic Trapstar logo on the heel. The white speckled midsole sits alongside the translucent red outsole giving the shoe the ultimate balance between streetwear and fashion. 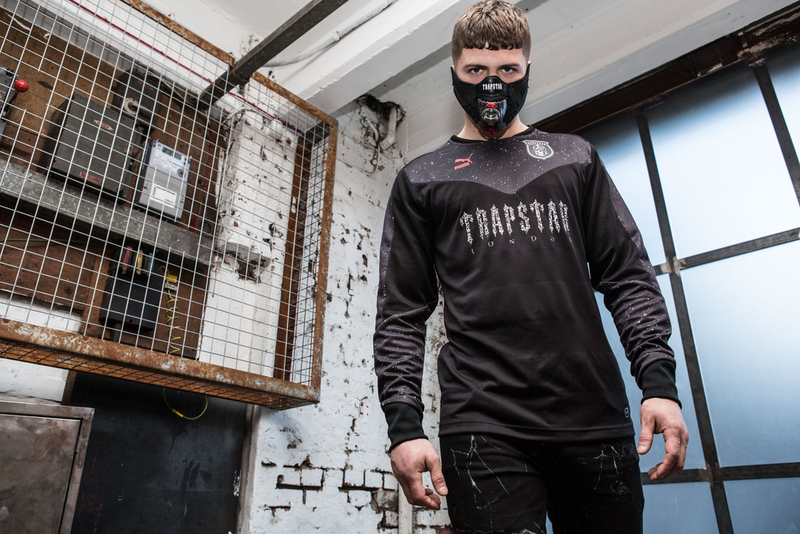 The PUMA x Trapstar Goalkeeper Shirt is a true partnership between the two brands. Taking inspiration from its own football jersey range, Trapstar has evolved the PUMA Football performance piece to create a shirt that can take the wearer from the field to the city. 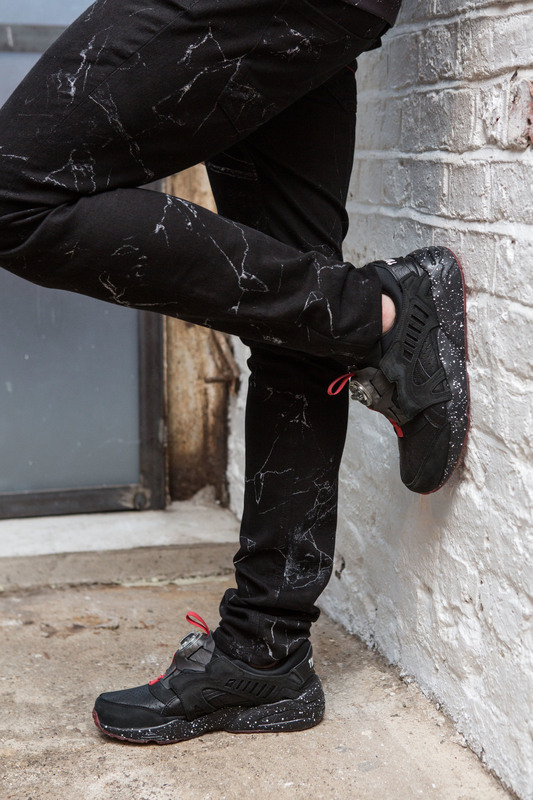 The speckled print ties the shirt to the design of the PUMA DISC x Trapstar sneaker and bears an Trapstar's iconic print. Constructed from a super soft engineered jacquard, the shirt features Dry-Cell technology and a reflective print showing what happens when sportswear and streetwear come together. Dropping through Trapstar stores exclusively on 5th December followed by a global release through premium lifestyle retailers on December 12th. Founded by Mike, Lee and Will, Trapstar is a London conceived streetwear lifestyle clothing brand that believes there is a star trapped with in everyone. Trapstar was created from underground inner city sub culture. Influenced by iconic cinema, photography, music and contemporary art all the way to military references. Trapstar remains true by not following the cliches and regulations of fashion. The brand has become an ambassador/spokesman for the new era of forward thinking creative minds. Known to transcend the ethos of the brand through themed collections which come in the form of clothing. But is also heavily related to music, photography and art.